Betrayal, on the other hand, is free. When the Emperor is taken hostage, the Red Knight and his men find their services in high demand - and themselves surrounded by enemies. The country is in revolt, the capital city is besieged and any victory will be hard won. But The Red Knight has a plan. The question is, can he negotiate the political, magical, real and romantic battlefields at the same time - especially when intends to be victorious on them all? Miles Cameron is a fantasy novelist who currently lives in Toronto, Canada. He is a military veteran and has a degree in Medieval History. His debut novel (The Red Knight), first in The Traitor Son novels, was one of the most acclaimed fantasy debuts of 2012 and nominated for the David Gemmell Morningstar award. 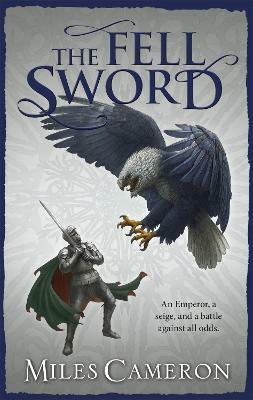 It is followed by The Fell Sword, published in 2014. He also writes highly acclaimed historical fiction under the name Christian Cameron. You can learn more at www.christiancameronauthor.com, or by following @Phokion1 on twitter.